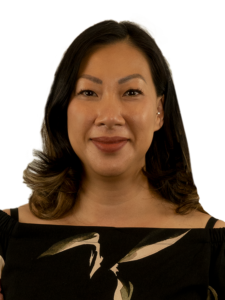 Lang Lam is a Senior Law Clerk at Rosen Kirshen Tax Law. Lang possesses a Law Clerk Diploma from Seneca College, which has allowed her to work in various areas of law from corporate and commercial real estate to wills and estates. However, she found her true calling within the area of tax law. Lang has developed a high level of skill, efficiency and professionalism while working in the Tax Law Services Section of the Department of Justice, as well as small boutique private firms that specialize in the areas of tax litigation and dispute resolution. Due to Lang’s experience of working on both the taxpayer’s and Government Agency’s behalf, she has gained valuable skills and knowledge to ensure a timely and efficient resolution of all matters within the Canadian tax system. Lang has over a decade of experience working within the area of appeals to the Tax Court of Canada and Federal Court of Canada. She also has assisted with proceedings within the Superior Court of Justice. Lang is a proud mother of two young children who keep her consistently on her toes. She enjoys temporarily escaping the everyday routine through travel, television, movies and spending time with family and friends.